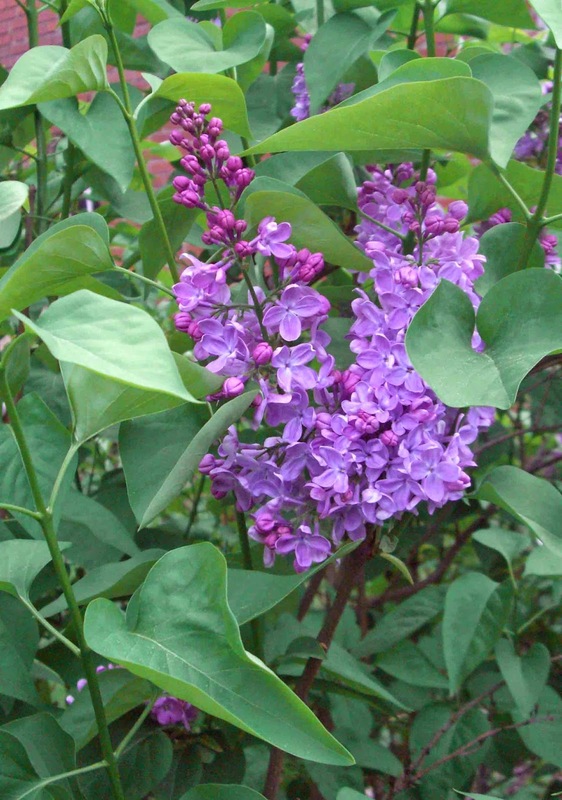 A cold winter and plenty of precipitation have made the lilacs very happy. On our daily walks, my friend and I have watched them transform themselves from tight buds hidden among green leaves to glorious clusters, spiky crowds of four-petaled blossoms. The scent greets us before we see them. We revel in the cool end of the spectrum: white, pale lavender-blue, pinky-lavender, deep red-purple. We stand with our noses buried in the blooms and take in that old-fashioned scent. The prize goes to an elderly shrub that has survived right on the edge near the street. So far, the lilacs have been the stars of the spring show.